Rome in 3 days with RomeCabs Limousine Car Service Company offers you an in depth experience of Rome as we take you on a 3 day expedition of Rome's famous squares, museums, churches and ancient monuments. Journey through time as you explore Rome from its ancient days as the Roman Empire to the splendor of the Renaissance Era, as well as modern life and Italian culture that's the fabric of Rome. Enjoy three days exploring Rome in the comfort of your private vehicle driven by your personal English speaking drivers. Your driver will pick you up at your hotel at 9:00 AM . Your English speaking driver will pick you up at your hotel and whisk you off to explore Rome! On your 3rd day in Rome your adventures in Rome with continuous visit to more exciting museums, churches, ancient monuments and squares that and broaden your experience in Rome . 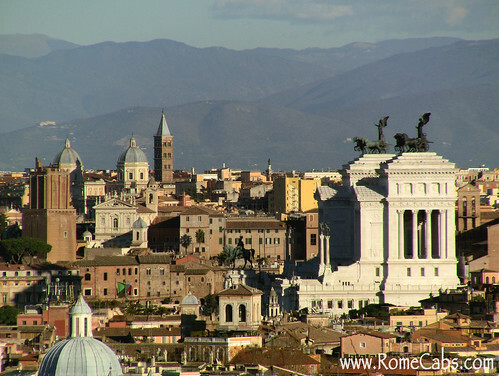 Below is the suggested itinerary of exciting places to visit in Rome on your 3rd day. Italians' love for thermal baths and recreation is not a recent fad, but a tradition that extends way back to the days of Ancient Rome. On this tour you will have the opportunity to visit one of the most splendid ancient health spas that surely inspired awe in the ancient Romans: the Baths of Caracalla . This impressive and well preserved surviving example of an Imperial bath and recreational complex was built in the early 3rd Century AD by Emperor Caracalla and was able to accommodate up to 10,000 people at a time, with 1,600 bathers in a Extensive area covering about 1 million square feet . This enormous bath complex included an Olympic-size swimming pool (called natatio), hot baths (caldarium), cold baths (frigedarium) and exercise areas (palastrae). Opulent architectural elements of marble and columns, as well as artistic decorations of mosaics and sculptures That were once part of this luxurious bath complex can be found scattered around Italy's piazzas, churches, buildings, and museums. Aside from being a health spa, it was also a learning center with large public libraries in both Latin and Greek and conference rooms. Gardens and shops anche occupied the premises. The Baths of Caracalla were not meant for mere cleanliness and relaxation, but it served as a center for people to meet, network, and conduct business. Capitoline Hill was one of the Seven Hills upon which Rome was founded. Today, visitors can enjoy a visit to the Capitoline Museums , one of the "must see" museums in Rome located inside 3 palaces That surround trapezoidal square conceived by Michelangelo. In the center of the square is a bronze copy of Emperor Marcus Aurelius - the original can be seen inside the museum. 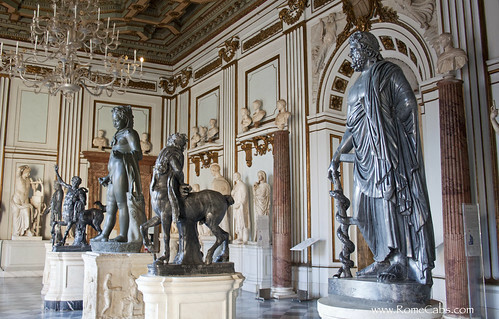 The Capitoline Museums house a vast collection of ancient Roman, Greek and even Egyptian statues, reliefs, vases, sarcophagi, mosaics, busts and artifacts of great interest, Medieval and Renaissance Art, jewels, coins, sculptures and famous you are sure to Recognize. Among the most treasured and Recognized pieces are the bronze " She Wolf nursing Romulus and Remus ", the" Capitoline Gaul "," Cupid and Psyche "," Capitoline Venus "," Medusa ", the epigraphic collection of Ancient Roman funerary inscriptions That Gives you a glimpse into the personal lives of ancient Romans, " Commodus as Hercules , "the enormous ancient bronze statue of Marcus Aurelius , and more. Lunch will be enjoyed at a local restaurant or trattoria. The Papal Archbasilica of St. John Lateran , Commonly known as St. John Lateran Basilica is the cathedral church of the Diocese of Rome and the official ecclesiastical seat of the Bishop of Rome, who is also the Pope (currently Pope Francis I).
" Omnium Urbis et Orbis Ecclesiarum Mater et Caput " , or "Cathedral of Rome and of the World." Built by Emperor Constantine in the 4th century, St John Lateran was the first church built in Rome on top of the ancient palace of the family of the Lateran. In the 2nd century military barracks were established by Emperor Septimius Severus . Emperor Constantine the barracks demolished and built the cathedral of Rome on top dedicating it to the savior in 318 AD. The Basilica has been rebuilt several times after being burned, sacked, and destroyed by earthquakes. In the mid 1700's a new facade was created. There is much of interest to see today inside the basilica: the central bronze doors are of Roman origins from the Senate House (the Curia), at the left end of the porch is a statue of Roman Emperor Constantine discovered among the ruins of the Baths of Diocletian. Statues of the Apostles and Evangelists beautifully stand in niches inside the ship, the stunning 14th century canopy above the Altar of the Holy Sacrament, is believed to contain a cedar table used by Christ at e tombs of six popes, and beautiful 14th century cosmatesque pavement that is a perfect example of this technique ornamental floor. Trastevere is the charming neighborhood Rome across the Tiber River , as the name Indicates in Latin: "trans Tiberium "translates to" beyond the Tiber ". 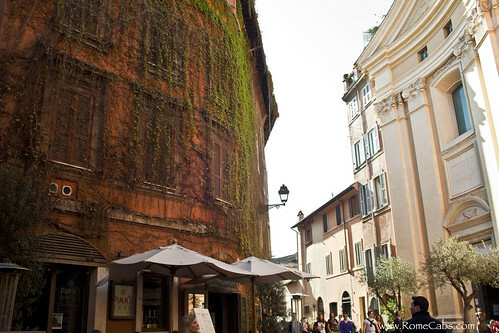 This is perhaps the closest you will come to see Old World Rome as the neighborhood retained ITS characteristic charm with narrow cobblestone streets, medieval buildings with ocher and sienna aged facades, hanging ivy, and unique boutiques Likely you will not find in the rest of Rome. The most popular square is Piazza Santa Maria in Trastevere , thusly named after the beautiful church of Santa Maria in Trastevere That Is perhaps one of the oldest churches in Rome since 4th Century AD and Likely where the first Mass was openly Celebrated in Rome. What we see now is the 12th century reconstruction, but elements inside the church are still from as back as to 4th century. The lovely fountain in the center of the square That attracts quite a gathering on ITS steps is the original work for Donato Bramante with later additions by Gian Lorenzo Bernini and Carlo Fontana , but it's believed That a fountain Has Been here since the 8th century. Your last day in Rome will not be complete without a stop on top of Janiculum Hill for a sweeping view of Rome below to admire it from the vantage point of Its popular terrace. From church domes and the dome of the Pantheon .... to ancient monuments and modern buildings, you will see Rome stretched out before you ... one of the most memorable ways to enjoy at the end of your Rome in 3 Days tour. The price of the Rome in 3 Days Tour includes your own private deluxe vehicle with a professionally licensed English speaking drivers, VAT tax, fuel, insurance, and parking fees. The price of this Rome in 3 Days tour does not include Entry Tickets, Lunch, Gratuities, or Private Tour Guides hired separately. *** This tour priced for pick up and drop off at Rome accommodation only. For pick ups or drop offs at Port of Civitavecchia please write us for a price quote. * Please allow between 1-2 days business for all email inquiry replies and service confirmations. * If you are pleased with the servants there you receive from your drivers, 10-15% gratuity is customary in Italy. Payment for the tour to be made ​​in Euro currency at the end of each journey. You have the option to pay in full in advance anche via PayPal. Please let us know a when the tour is confirmed That you wish to pre-pay via PayPal. Please print your payment voucher and present it to your driver at the time of service to confirm pre-payment. Price of Admission Tickets booked online Colosseum standard is currently 14 Euros per person. Please purchase your tickets to the Coliseum in advance at the link below. Select to print your vouchers at home and bring them with you in order to avoid long ticket line as the vouchers are required to be converted into tickets. When prompted to select country of origin, if you select United States please choose "Stati Uiti". Price for Vatican Museums No Line Admission Tickets booked online in advance is currently 21.00 Euros per person. Please book your tickets for the 2:00 PM time slot. Payment for tickets are in two Euro currency on the date of your visit. 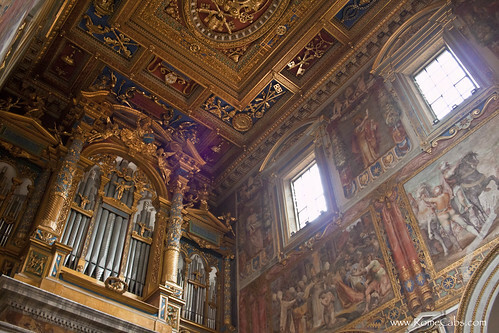 Vatican Museums are closed on Sundays and tickets can not be booked for the last Sunday of the month free. * CAPITOLINE MUSEUMS: No Line Admission Tickets are currently 13 Euros per person including children 6 years and up (ticket prices can vary depending on any special showings inside the museum). Tickets can be Purchased on site on the day of the tour as there are rarely long lines. Capitoline Museums are closed on Mondays, December 25, January 1 and May 1. 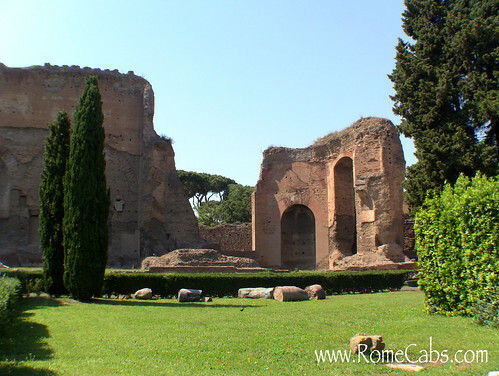 * BATHS OF CARACALLA are currently 6 Euros per person and children 6 years and up, and can be Purchased Directly on site upon arrival. * CASTEL SANT'ANGELO: tickets are generally 10.50 Euros per person. Tickets may be purchased on site upon arrival, here may be wait lines to ticket office. Ticket prices vary depending on whether or not special exhibitions are taking place on the date of your visit. If you prefer No Line Tickets booked in advance via concierge service, please inquire within for prices and information. * PANTHEON: It has been recently reported that starting May 2018, the Pantheon will being to charge Admission Tickets (currently estimated at 2 EUROS Per Person). Please prepare for potential ticket lines and/or wait times to visit this monument. *** IMPORTANT: Ticket prices are at discretion of the monuments and museums and may change without notice between the time you book this tour and the actually tour dates. We accept no responsibility for changes in ticket prices after you book the tour. Churches in Italy may close for private religious affairs with no advance notice. In cases longer available, the church in the itinerary will be replaced with another beautiful church. You will be provided to Tour Driver who is not a licensed tour guide. Italy implements stringent laws protecting licensed tour guides, thus it is unlawful for Tour Drivers to act as guides and Accompany guests away from the vehicle to sightsee. Your driver will be Obliged to REMAIN with the vehicle while you sightsee. For your safety inside the moving vehicle, please do not distract the driver while s / he is driving, Especially During traffic conditions. Your driver will drop you off as close to the sites as close as legally possible and according to the Municipality and Traffic laws of Rome. Please let us know when you finish your book tour if you are requesting are a private guide for the Coliseum and / or the Vatican City . Payment is made ​​for private guides Directly to the guides in Euro funds at the end of Their guided tours. Please read all the information below before allowing us to book a licensed guides on your Behalf. 120 Euros for a group of up to 6 people . 150 Euros (+ 3 Euros per person for earphones) for a group of up 7 or more. For groups of 7+ with private guides, please book your tickets Vatican Museum at 1:30 PM . Payment to be made Directly to your private tour guide at the end of the Colosseum / Roman Forum tour. IMPORTANT TOUR GUIDE DISCLAIMER: Private licensed tour guides are not employees or affiliates of Rome Cabs as they Independently operated. We place the reservations for private guided tours with My Rome Guides on Behalf of our clients as a complimentary service. We receive no compensation nor benefit in any way from the guides. We recommend Their services based on Their lawful qualifications, expertise, professionalism and reliability, but please note we have no control of the style of tours they Shops provide. Please be advised That Rome Cabs Accepts no responsibility or liability for the style of tours Private Guides Shops provide as they are not part of Rome Cabs company . By Allowing us to book a private guide on your Behalf, you are entering an agreement That you fully understand and accept all the above conditions with no exception. Do not worry, we never ask for your credit card information, require advance payments, or charge you for cancellations. We operate on the time trusted honor system , so we respectfully ask That All cancellations be made ​​at least 7 days in advance so we have the opportunity rebook your service and your reserved driver does not lose work for That Day. Thank you for your cooperation in this matter. Cancellations must be made ​​via email and confirmed by us in order for them to be on record. We do NOT accept cancellations by phone, text message, or 3rd party. This is a chauffeured tour in deluxe vehicles with English speaking drivers. This tour is not a walking tour accompanied by licensed tour guides. Licensed tour guides can be booked separately as described in the "please note" section on this page. * It's advisable to wear comfortable shoes and clothing on this and any tours in Rome. * The Vatican and most churches in Rome enforce modesty dress code that includes covering one's shoulders and knees. Please keep this in mind on your Vatican Tour when entering the Sistine Chapel and St Peter's Basilica. Visitors who do not comply with the dress code are turned away. For more information, please read "HOW TO DRESS WHEN VISITING CHURCHES IN ROME"
Security Check Point: Please note that regardless of purchasing the No Line Tickets, all visitors are required to pass through the security check point which may result in wait lines. Any delays associated with visiting the Colosseum are beyond our control. Please wear comfortable shoes when visiting the Colosseum as well as Rome's monuments and squares, and use hats, sunglasses and sun protection on hot sunny days.